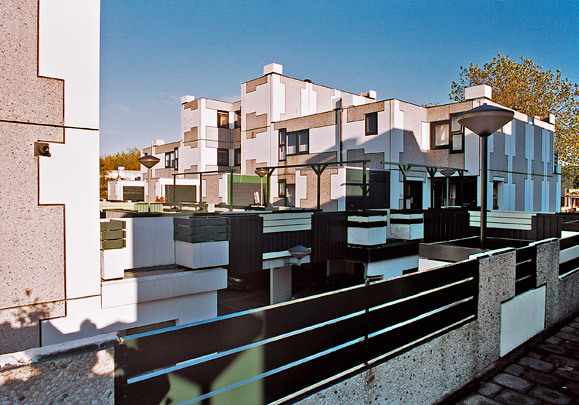 The 12 dwelling types in this plan, varying from three- to five-room units in the lower portions and two to five in the high-rise, are integrated into the district to the greatest possible degree. These types are so standardized that they can be constructed from just a few relatively large precast facade elements. It is these that define the 'unity in diversity' found in this district.